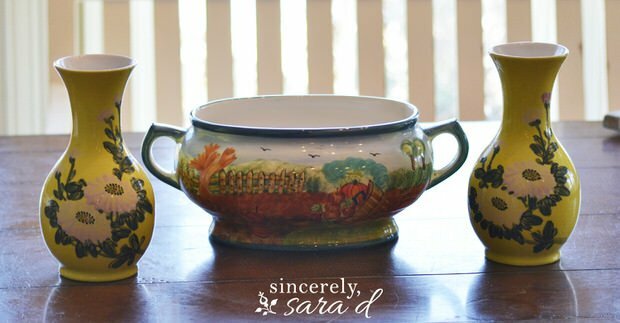 Yard sale season is in full swing, and there is no better way to get budget home décor items for your home decorating that also have personality and style. Here’s how The Budget Decorator takes trash for little cash, and turns them into gold! 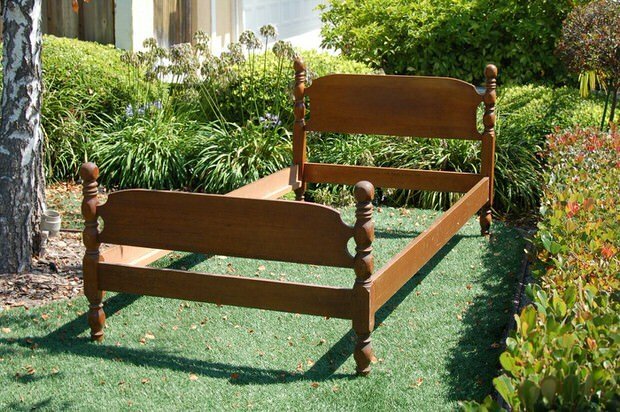 While finding furniture at great prices at a yard sale is a no-brainer, to get the best bargains look a little deeper. 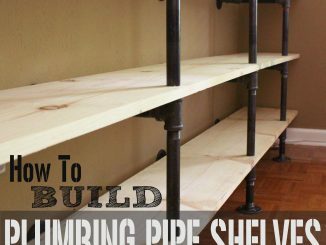 Furniture that is past it’s prime can be remade with paint, fabric and little elbow grease, but do you know what’s a find and what’s a dud? Here are some quick guidelines for making yard sale décor for your living room really work. Buy only sturdy pieces that do not need repair. If one joint or leg is loose now, chances are it’s a short time before more problems appear. Also, look for lifting veneer. In some cases a table top can be covered with fabric or cork, but it cannot be easily repaired. 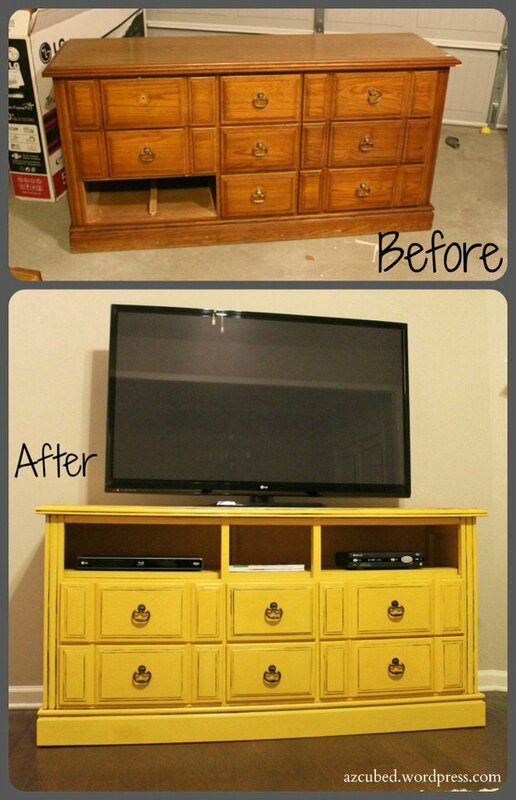 Finding outdated furniture that you have no idea what to do with? 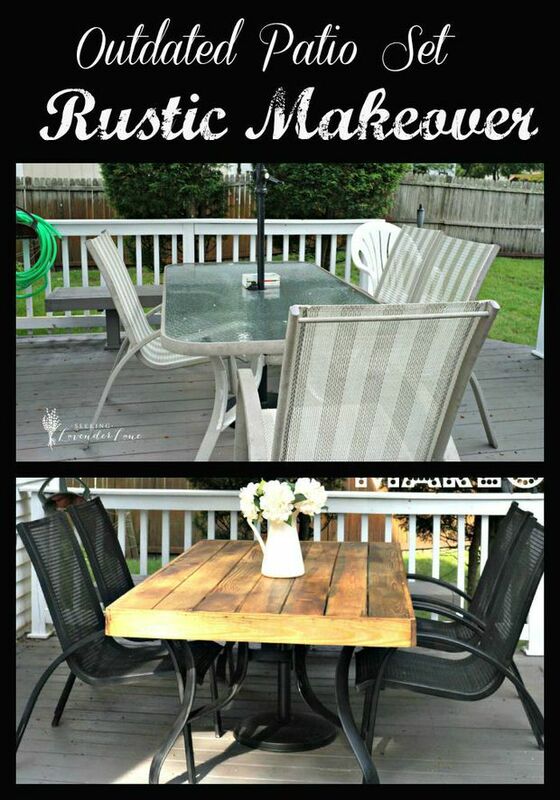 Just to show how far you can go, Deb at ‘Seeking Lavender Lane‘ turned this outdated patio set into a rustic custom look with her makeover! Wow! 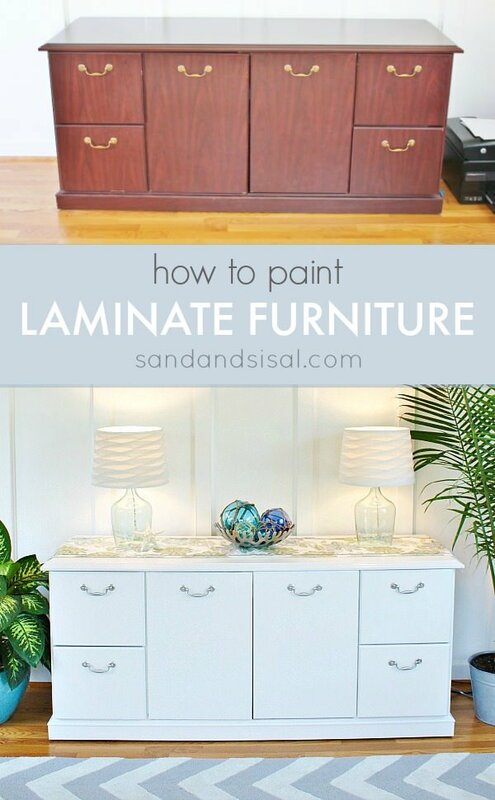 Don’t discount old laminate furniture. If it’s in good shape, it can be painted! Use a good quality primer like KILZ and you are on your way to having an original piece of furniture art from an ugly duck! Kim at ‘Sand and Sisal’ shows you how to paint laminate furniture, and while she was at it, totally made over this ugly credenza! Remember that a chair is not always a chair. Or in this case, a bed! 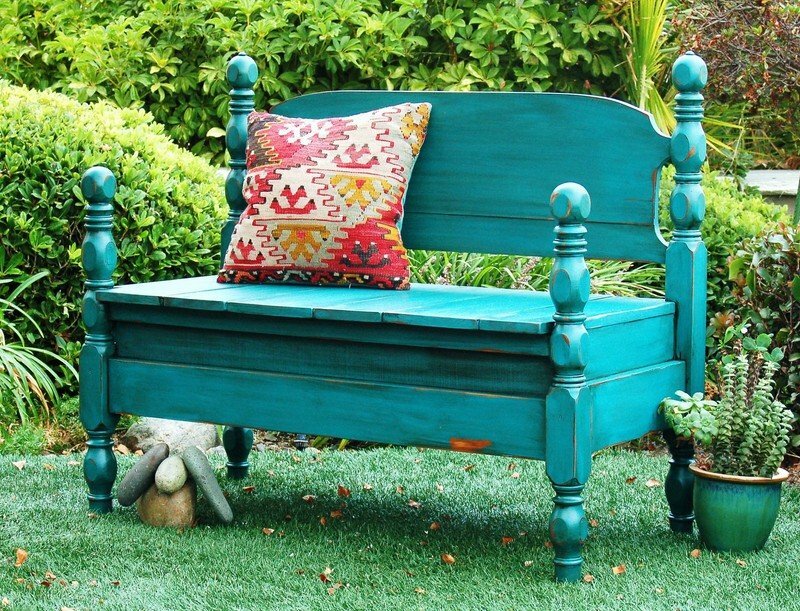 ‘Just Jill’ turned this old bed frame into an amazing garden bench! It may be a yard sale find, but it’s up-cycled chic! Before, and after! Realize that slipcovers have gotten trendy (and expensive, try Ebay!) Sometimes a sofa just needs the bottom cushions recovered, but is in otherwise good shape. Choose a coordinating fabric and color to cover just those cushions and pin underneath. Use that same fabric to sew a couple of throw pillows for the sofa to make it look purposeful and co-ordinated. 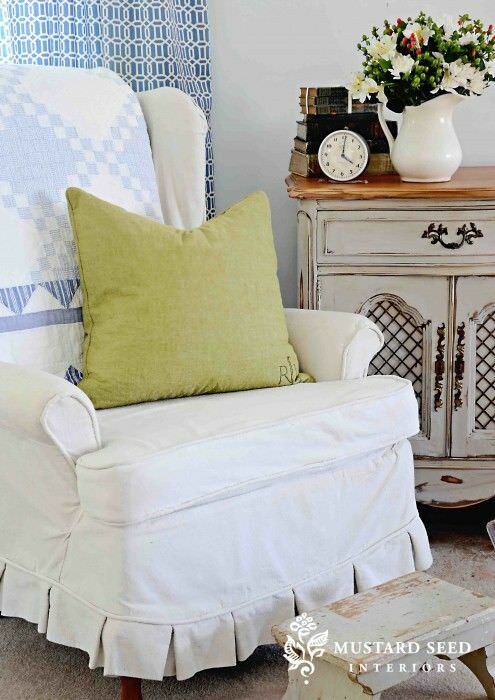 Want to know how to make slipcovers? 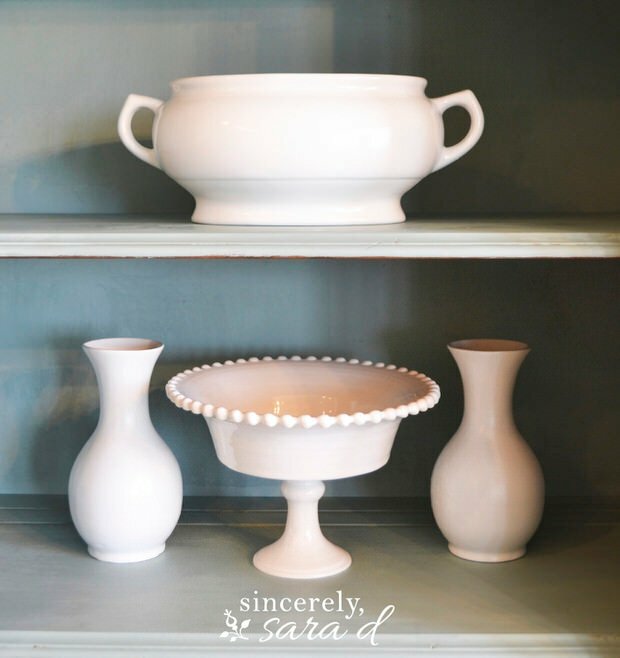 Check out this video series by Miss Mustard Seed… Amazing DIY instructions! Fabric can also be used to recover beat up drawer fronts. Shirr fabric on tension mounted rods to replace cabinet doors. Recover dining chair seats with a trendy fabric to take a dated piece into now. I look for fabric at yard and garage sales, and not the “on the bolt” kind. You don’t need much yardage to create one of a kind pillow covers, table runners or to edge a pretty throw. Just make sure you choose fabric that fits into your color and pattern scheme for your room, and that can be washed and dried before use. 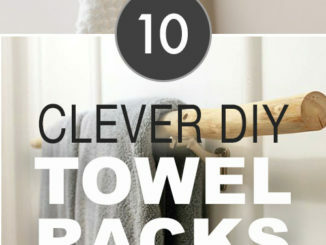 Make sure they spend at least 20 minutes in a hot dryer. Some options for yard sale fabric? • Dresses and blouses can be a great quality fabric for pillows. • Sheets can be made into curtains or slipcovers. • Pretty quilts/coverlets make wall hangings, table covers or window coverings. 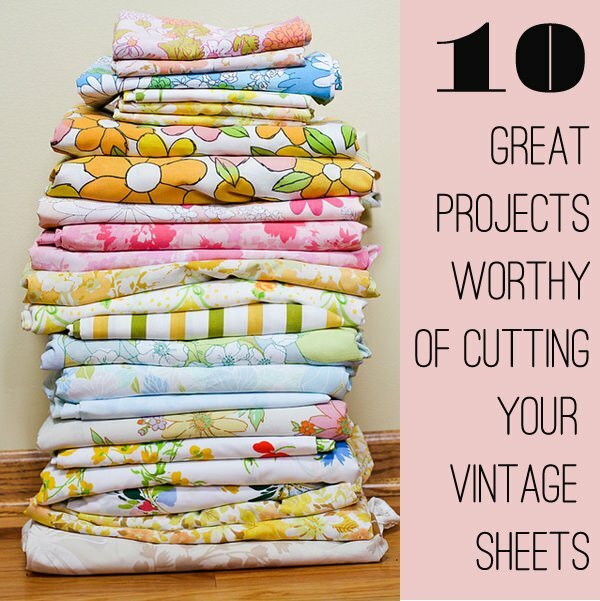 Want ideas on what to do with sheets? Try Modern Kiddo’s post on “10 Great Crafty Sheet Ideas“. 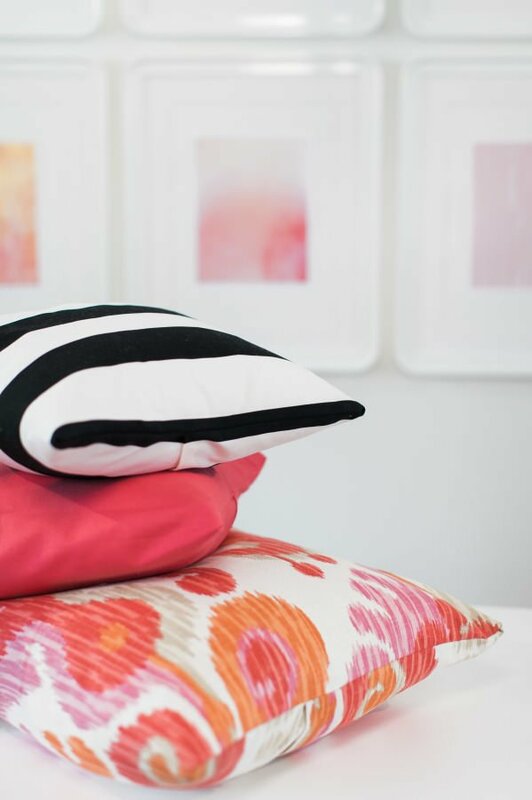 Make these DIY no-sew throw pillows from ‘Style Me Pretty’ with their step by step tutorial and video! Photo by Ruth Eileen. 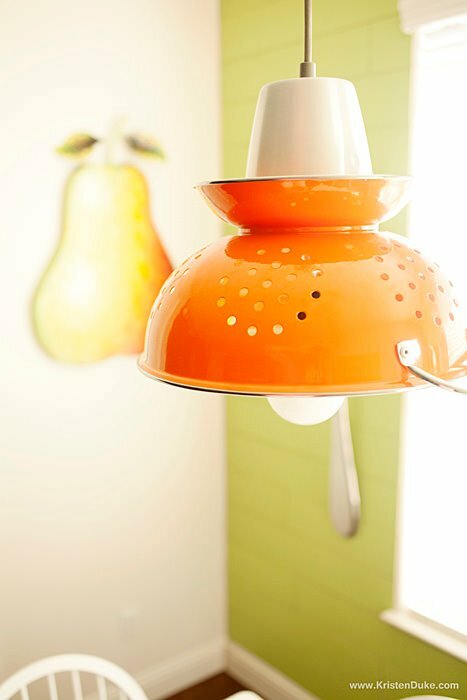 Lamp kits available at craft stores make it possible to turn almost anything into a cool and creative lighting piece for your living room decorating. You don’t have to be an electrician to use these kits either! Great yard sale decorating finds that can be converted into lighting? 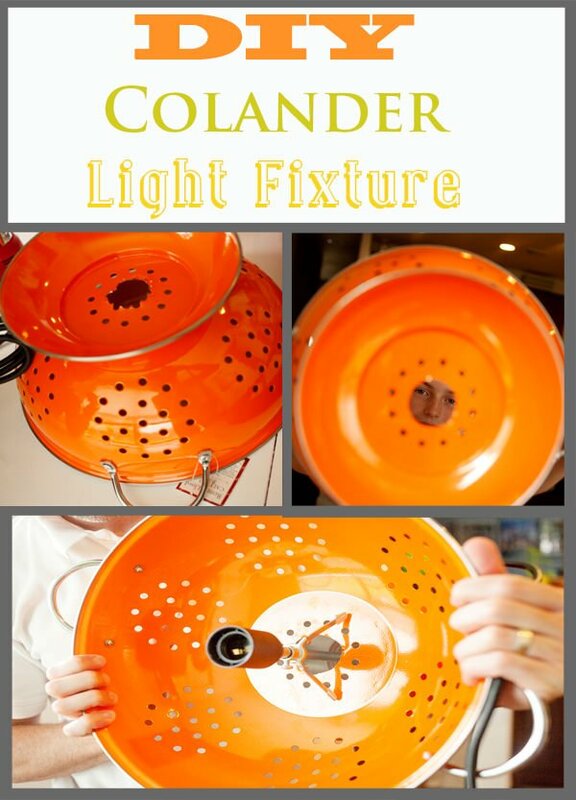 Kristen Duke made this bright pop of color DIY colander light fixture… Check out the after photo! 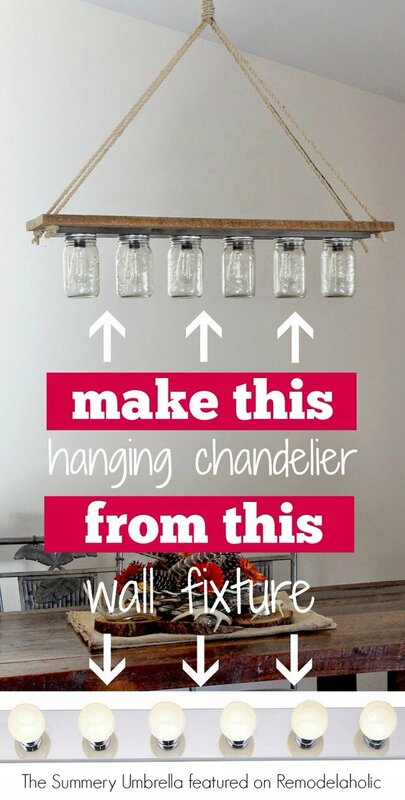 Or try this DIY hanging chandelier from ‘The Summery Umbrella’ via ‘Remodelaholic’. This is from a standard yard sale bathroom strip light fixture! And don’t forget, almost any accessory can be made new again with a can of spray paint and a Pinterest idea! Need proof? At ‘Sincerely, Sara D‘ you can see exactly how valuable those 25 cent yard sale knick knacks can be! Anyone can shop the yard sales and find great living room decorating ideas for very little money. Just open your eyes to creative possibilities! The post Yard Sale Decorating appeared first on The Budget Decorator.